CPE Conferences is delighted to partner with the Grand Hotel Atlantis Bay, an incredible 5 star Hotel in Sicily. Located in a truly unique position in the Baia delle Sirene (Mermaids Bay) and is in the shelter of the cliff, offering spectacular view over the sea. The location also allows you to enjoy your very own exclusive position in Mermaid Bay. Designed with a typical Mediterranean style and furnishings that recall the sea, makes the Grand Hotel a characteristic stay. 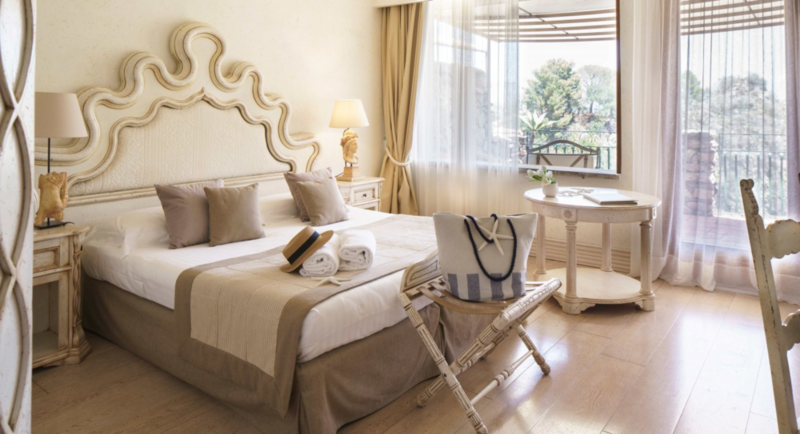 The hotel is just minutes away from the funicular (cable car) which connects the historic center or Taormina with its beach area of Mazzarò. 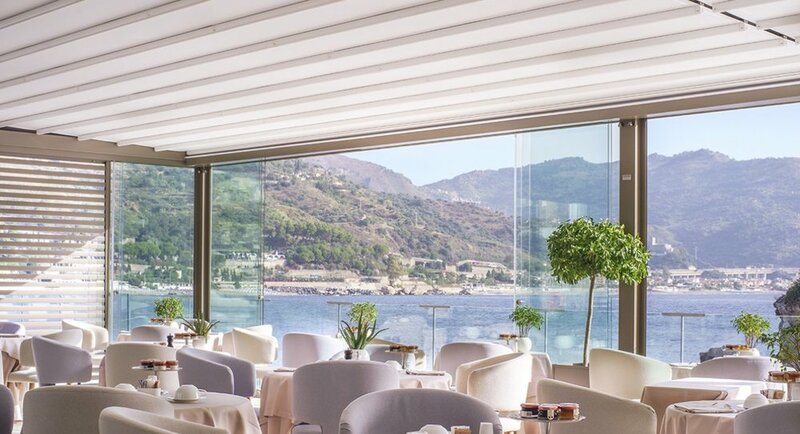 Dining in the Ippocampo Restaurant provides a beautiful experience as its panoramic veranda and large terrace overlooks the bay. You can indulge in a rich breakfast in the morning or a romantic dinner in the evening with the restaurant serving a very high quality Grand Gourmet cuisine, offering local traditional dishes with a modern twist. 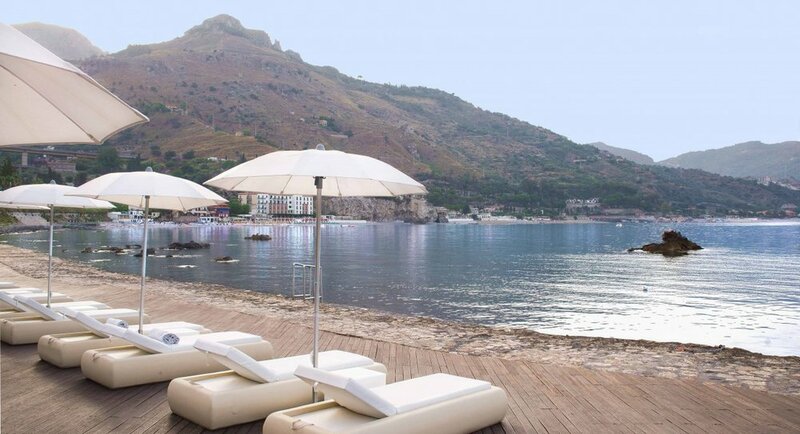 Enjoy a drink with your family or your fellow delegates in the Bar Dioniso and its enchanting terrace over the bay, or relax by the beachfront pool equipped with large umbrellas and sunbeds. The Grand Hotel Atlantis Bay provides an atmospheric experience from any room in the hotel, with sea views wherever you turn! The hotel offers a traditional Italian experience and allows you to reach your ultimate comfort with its private beach and relaxing lounge areas; perfect for the whole family. 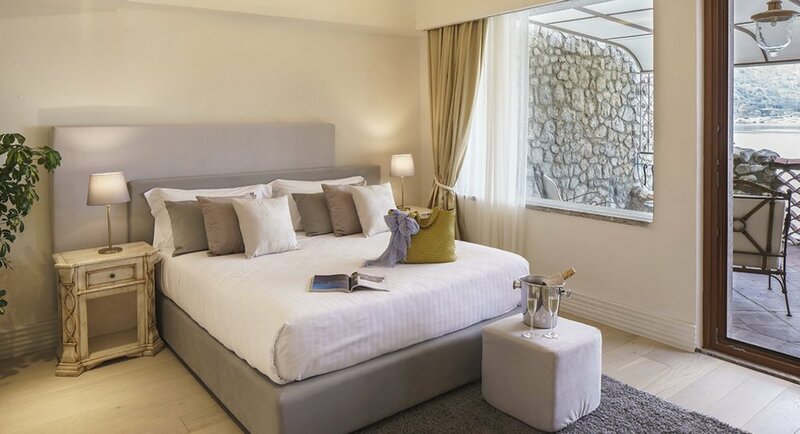 Elegantly furnished, these rooms are approximately 18sqm in size, designed with hardwood or parquet floors. The incredible location provides you with a private balcony or terrace with armchairs, table and chairs, overlooking the bay. Equipped with a desk, private marble bathroom with bath or shower, TV and air-conditioning. Double bedding available with a Queen bed provided and a maximum room capacity of 2 guests. Please note the above rates are for a 7-day only! If you would like to extend or shorten your stay, please contact the CPE Team for a quote. Elegantly furnished, the Junior Suites include a large sitting area and incredible views of the bay from your own balcony. The marble bathrooms are comfortable with double sink and personalised courtesy products. Junior Suites are approximately 25sqm in size and provide air-conditioning, a desk, TV, electric kettle and a safety deposit box. Double bedding available with a Queen bed provided and a maximum room capacity of 2 guests. Please contact the conference team with your requirements by calling 07 3254 3331 or emailing [email protected]; Or package your accommodation with flights, pre & post tour options and more by contacting our partner CPE Travel on 07 3135 9360 or [email protected]. Any accommodation cancellations or changes are non-refundable unless the room may be sold on. CPE will do everything in their power to assist with achieving a refund but availability of such refunds is at the discretion of the hotel.